No one wants their kids to injure on the moving days, hustle day. All your belongings are scattered on a floor. The kid is usually curious they want to know about every detail and they might delay the work of the movers, or they can also damage themselves while playing at scattering place. The best option is to arrange a play date for your kids so that you and your movers do their work. If you opt for packing your belongings by yourself, then make sure to buy the quality protection material and boxes to ensure the perfect packing and safe loading of your belongings on the truck. One more thing! Do not forget to mark fragile on the box which contains delicate items. Also, a motion which side of the box keeps in an upward direction. The accurate labeling makes loading easy and less time-consuming. You can also hire Metro Moving Newport Beach for packing because they know how to handle the packing. Have you ready your appliances? Like refrigerators and freezers? Do not forget to defrost your refrigerator and freezer 24 to 48 hours before the move day. You hire the professional for packing and moving services than there is no need to worry about your appliances. The Metro Moving Newport Beach arranges meeting with you 3 days before the move day and guides you about all necessary measures. This box is loaded in the ended and unloaded first. In this box, you can pack those things which you will need first thing in your office or the first night at your new place. For example, things like soap, toilet paper, paper towel. When you reach your site, you will be tired after the long journey, so you don’t have enough energy to hunt through all the boxes for your necessary stuff. To make your packing simpler, hire the professional to do the packing job for you! Pets are sensitive towards their owner’s belongings. They do not appreciate if a stranger touches or move their owner’s stuff and become skittish. Like kids, we will appreciate keeping your dogs separate from movers for a smooth packing experience on a moving day! Clear a walkway of the things which may cause your mover to trip and stumble. It includes putting away the toys, removing leaves and shoveling a driveway. By doing this it will make a move easier for movers and you! Mark the “do not pack” stuff! When you hire the professional for the moving services, do not forget to mention the things which you want them to pack for you. Items which you want to keep with yourself like your suits case, important documents or other stuff, wrap it separately and mark on it “ do not take” and place it in a closed cupboard. Kindly make sure that you’re at your home on the day and time which you have given to the movers. The movers will do an initial walkthrough before starting the packing and loading the stuff in a truck. During the walkthrough, they make a list of previous damage items, and they ask the question they have. Alternatively, you can utilize this time ask any question to the crew regarding the services on the move day. You should do the final walk-through before the movers leave! Before the movers leave or after loading the stuff in a truck, do not forget to do the final walkthrough to make sure that everything is loaded and packed. Metro Moving Newport Beach has appointed her supervisor who will do the final walk for you. 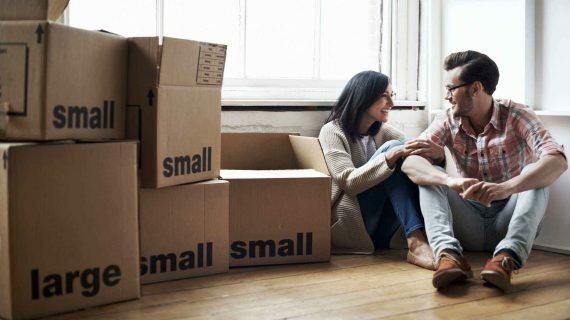 Following these tips makes you Move Day easier and stress-free.